From nearby Lititz, PA, the Districts bring their invigorating indie-rock performances to many diverse stages. 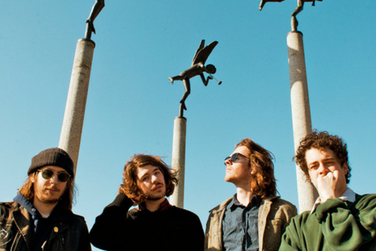 The Districts have gained increasing popularity over the past six years, and have released three full-length albums, which earned them the respect and acknowledgement of Rolling Stone, NPR, and more. So, throw on your favorite thrift store sweater and join us for an electrifying experience!